Holidays to Ciudadella are popular with couples and families. If you're looking for a Spanish holiday with the heavenly combination of fantastic beaches and rich culture to discover, the stunning Balearic resort of Ciutadella is perfect for you. The former capital city of Menorca, Ciutadella is filled with fascinating historic treasures to thrill any budding explorer, so all that's left for you to do is hop on a plane to experience a holiday with a fantastic Spanish flavour! Get the most of your Balearic holiday and visit between June-August to take full advantage of the blissful summer weather. Daytime temperatures can get up to 29°C, making Ciutadella the ideal holiday destination if you want to work on your tan. Just don't forget your sunscreen! Relax in style on the golden sandy beaches before taking a refreshing dip in the crystal-clear waters to cool down. Son Bou is known as one of the most beautiful beaches in Menorca, so you'll certainly want to spend some time there! The rugged cove of Cala Morell is less than 20 minutes away and the perfect spot for a quick dip in the sea, away from the crowds. There is also a fantastic selection of beach activities to take part in, including beach watersports and snorkelling. Or, why not hire a mountain bike and explore the lush green nature Ciutadella has to offer on your holiday? As you make your way through the coastal paths you can stop and admire the picturesque views - better remember to pack that camera! For a unique adventure, boat excursions are available around the coast of Menorca. Or, why not have family-friendly fun at Aqua Centre waterpark, which is less than 20 minutes away. You'll love the giant slides and water tunnels! Menorca Zoo is also less than 40 minutes away and perfect if you're after a relaxing afternoon. Unleash your inner explorer with a walk around the Ciutadella's Old Town to discover the pretty architecture Gothic churches and quaint shops. If you're keen to escape the midday heat, you can visit the Cathedral Basilica of Ciutadella de Menorca and admire the Italian-style 17th century architecture. If you fancy treating yourself with a little therapy on your holiday to Ciutadella, you can do this at Castillo Menorca, where you can browse the fabulous selection of clothes and traditional jewellery. The stunning botanical gardens of Lithica are also definitely worth visiting to get a real flavour of this vibrant city. You certainly won't go hungry on your holiday in Ciutadella with the fabulous selection of local dishes, including tapas, paella and fresh fish. Alternatively, visit one of the many international restaurants serving a range of cuisines and fast food, particularly if you're after a quick bite. There's something for every kind of holidaymaker in Ciutadella, so call Hays Travel today to book a memorable trip that's just to your tastes. We have over 37 years of experience in booking holidays to Spain and the Balearic Islands and we have been voted the UK’s Best High Street Travel Agent - so you can trust us to book an unforgettable trip! A relaxing vibe for adults and plenty to keep the kids entertained are top of the agenda at the Hi! Cala Blanca Hotel. Just a 150m stroll from the Cala Blanca beach, this all inclusive 3 star hotel may be small but boasts abundant facilities. 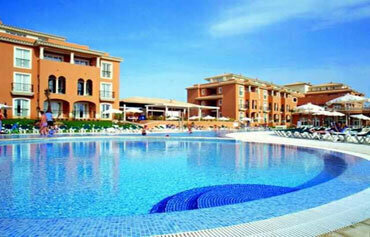 Set in lush gardens, the large pool and surround sun terraces take centre stage, perfect for lazy days in the sun. 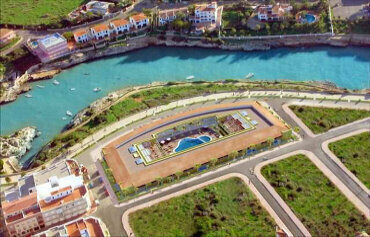 If you want to get away from it all, take a look at the 4 star Grupotel Macarella Suites & Spa in Cala n Bosch. From the moment you arrive at this hotel you are greeted by attentive staff and enveloped in a relaxing atmosphere. Lush gardens and sun terraces surround the pool, the perfect spots for lazy days in the sunshine. 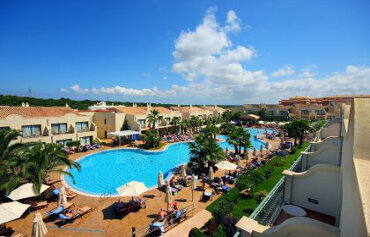 The 4 star Valentin Star Hotel enjoys a stunning location overlooking the marina in Cala n Bosch. 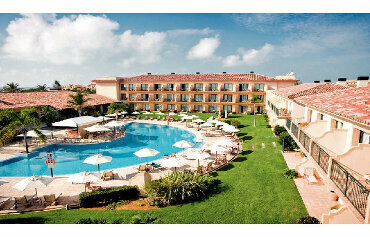 This luxurious adults only hotel is an excellent choice for a relaxing holiday in Menorca. Daytimes are perfect for taking it easy by the freeform swimming pool or enjoying a romantic stroll along the golden sandy beach. The luxurious 5 star La Quinta Resort Hotel & Spa is in a stunning location, between the sandy beaches of Son Xoriguer and Cala'n Bosch. From the moment you step into the opulent lobby, you'll be greeted by attentive staff and enveloped in the calming ambience of the hotel. 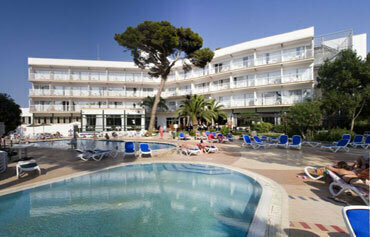 It is the location that sets the 4 star Hotel Port Ciutadella apart from the crowd. Set on a headland in the charming old town of Ciutadella, clean minimalist lines are the order of the day at this modern seafront hotel. A stylish decked area is home to the freeform swimming pool, the perfect spot for lazy days in the sunshine. The weather is one of the main attractions on holidays to Ciudadella. Visit in the hottest months of June, July and August and you’ll experience daytime temperatures as high as 29 ºC. April and May and June and October are popular times to visit as the temperatures are a little cooler, but rain is more likely at towards the start of spring and the end of autumn. Winters are much milder than they are in the UK, with daytime highs often peaking at the mid teens. Ciudadella is a wonderful place to explore, with its pretty architecture, Gothic churches and charming shops. To escape the midday heat, pop inside the peaceful environs of the old cathedral and marvel and the elaborate carvings. Just out of the old town, youll find the unspoilt, rugged cove that is Cala Morell perfect for a refreshing dip in the Med. Dont miss the chance to visit Lithica, a disused quarry thats been turned into a stunning garden and botanical trail. For a glimpse far back in the past, head to Talati de Dalt, the eerie but fascinating prehistoric remains. Shopping fans love Castillo Menorca, the castlefronted retail centre which includes a Lladro outlet and family amusements. For a slice of unspoilt white beach, go out of town to Playa Arenal de Son Saura. Other great activities on offer in the Ciudadella area include mountainbiking, boat trips and snorkelling. Elsewhere on the island, youll find watersports, a water park and a popular zoological garden. Youll find plenty of places to eat out on holidays to Ciudadella. Most of the restaurants serve up local fare, including tapas, paella and the catch of the day. Youll also find a choice of other eateries, offering everything from Mexican eats to fast food.